Today started Lent. Ashes were distributed at either Holy Mass or a Prayer Service. I want to first and foremost wish you all a Blessed Lent and a Holy Lenten Journey. No matter what you are giving up, adding on, changing in both a physical or spiritual know that it is all for the Glory of what is to come. Lent is a journey that we take each year to remind ourselves of the sacrifice that Jesus gave and His journey in the desert. It is a time of inner reflection that I hope sheds light on the areas of my life that are in need of change or order. 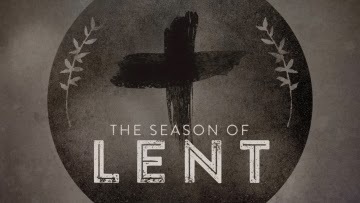 I myself am entering into Lent this year with a lot on my mind and my soul. Actions as of late have shown me a hard lesson that I needed to swallow and Lent will be a time of digesting that lesson. It was a ruff few days leading up to today and I will be sharing this lesson with you all in a few days. Both God and Myself drew a line in the sand and I walked that line and fell on the wrong side. I will share more in the coming days. Over the next few weeks I plan on having the daily readings along with some kind of blog. I hope that your start of Lent was a blessing and that the blessings will continue on through Lent. Until tomorrow, God Bless, and allows the transformation of Lent transform you mind heart and soul.